Without trying to sound like a broken record, there's really no future in Windows 10 Mobile. If it wasn't clear years ago, it is crystal clear now. So you can imagine my surprise when I saw a new manufacturer embracing the platform last year, and a niche one at that. 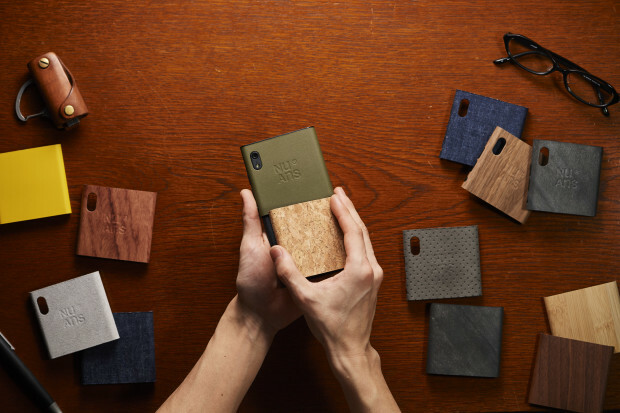 That was NuAns with its Neo handset, which is probably the last memorable smartphone released with Windows on board. A year later the company is unsurprisingly admitting defeat. NuAns is replacing the Neo with the Neo Reloaded, which, you guessed it, runs Android this time around. The smartphone just hit Indiegogo, and you can get one for as little as $355. Now, having Android on a phone is no recipe for success, even if it's the latest-available version, but it should help the company reach a larger audience with its interesting designs. The appeal of the Neo Reloaded -- and the Neo -- from a hardware standpoint is customization. You can choose from a variety of covers and cases to make it your own, without spending a fortune on those add-ons. The "core" -- as NuAns calls it -- can be had for $355, and it includes no fancy covers or cases, only the black plastic covers. If you want something nicer there a $360 super early bird perk that gets you a set of two tone or one flip case (that'll go up in price once all units are claimed). So, what exactly are we looking at here? Well, the Neo Reloaded is pretty much your standard mid-range affair, with a 5.2-inch fullHD display, octa-core Qualcomm Snapdragon 625 processor, 3GB of RAM, microSD card slot, 13 MP camera with f/2.0 lens, 8MP shooter on the front with f/2.2 lens, fingerprint sensor, USB Type-C and a 3,450mAh battery. It comes in at 141 x 74 x 11mm and weighs 150 grams. It's also dust and water-resistant, which is a nice. It's not fully compatible with US carriers though, which may disappoint some of you, as NuAns says on its Indiegogo page that only some 4G LTE bands are supported on local carrier networks.